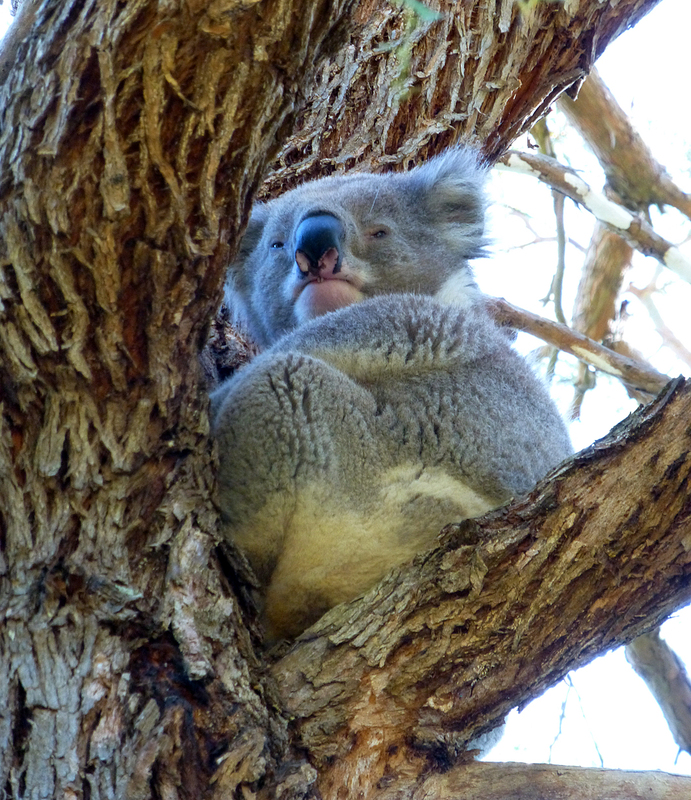 This adorable photo of a koala in a tree was sent to me by Rupert Hewison, who lives in Australia. When I replied: "That is so cute!" Rupert said: "Koalas are only cute when they are a long way up a tree doped out on gum leaves. Up close they are noisy and aggressive with very powerful and sharp claws. They can also be a bit on the nose. Sorry if this spoils the cute illusion but hopefully one day you will meet one and it's best to be prepared. ;-)"
I certainly hope I do meet a koala one day, and I'll take the warning as good advice not to try to hug it! The photo is copyright Rupert Hewison and is used with permission. Please do not download it or copy it without permission.